Bombyx Mori is the name of the silkworm living in the mulberry tree, and as strange the name sounds, as strange the history of the development is of what became the Bombyx Mori Lamp. Placed around a glass table at the northern Italian manufacture of madetostay’s lamps collection our designers was discussing some downright designer-minded details when Mrs. Belini, the owners wife, entered the room with a big bulb in her hand stretched over her head like an Olympic torch bearers and with an enlightened glimpse in her eyes. What long time might have been on her and her team of cocooning craft women’s mind was now carried triumphantly to the table. Mrs Belini’s team has covered the big bulb in cocooning materials, which gave the otherwise cool LED bulb an entire new feel and light. Yes, it replicated a Bombyx Mori cocoon and the soft light escaping through the fine mesh of silk like cocooning gave the light a surprising inner life. How does professional and tried designers react when the people who daily create a highly sophisticated craft get a splendid idea? In this case it was obvious, it was a real simple and splendid idea, which we all at madetostay, couldn’t wait to realize and include in our collection of lamps. Our craft women have been thinking design and light at its roots. 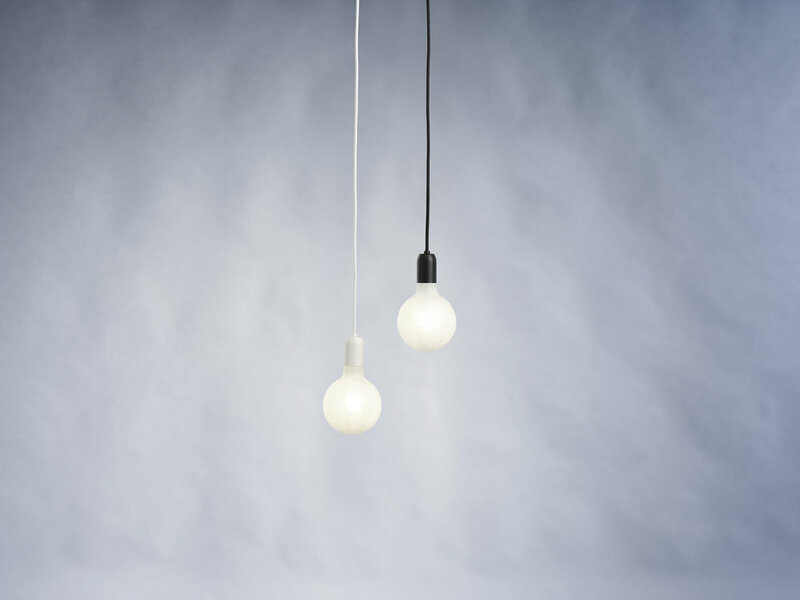 A power cord, a socket, a bulb, a light diffusing cover, a silky light when switched on! Closer we couldn’t come to a madetostay philosophy! Simple ideas are simply good design whoever makes it! The lighting source included is a dimmable A++ LED bulb with a cocooned finish providing 320 lumen at 4-watt, the same as a 40-watt incandescent light. The colour of emitting light measured at the bulb is 2700 Kelvin, meaning the warmer end of the colour spectrum toward yellow. The colour rendering ability (Ra / CRI) is rated to Ra 80. An incandescent light will in comparison provide Ra 100, meaning that the colour rendering ability by LED’s are less. However, in comparison to other electrical light sources is the most energy saving lighting source known. This is the reason we have chosen LED as a lighting source for nearly all madetostay lamps. With a guaranteed life cycle of the madetostay LED bulbs of 30000 hours it becomes a reason more to choose LED. The Bombyx Mori lamp is beside the bulb delivered with 4 meters of power cord with your choice of 4 colours; black, white, red and orange. Due to the dim-ability of the light source it is easy to adjust the intensity of the light. The lamp measures 12 cm in diameter and 18 cm high, making it suitable for domestic as well as public places.